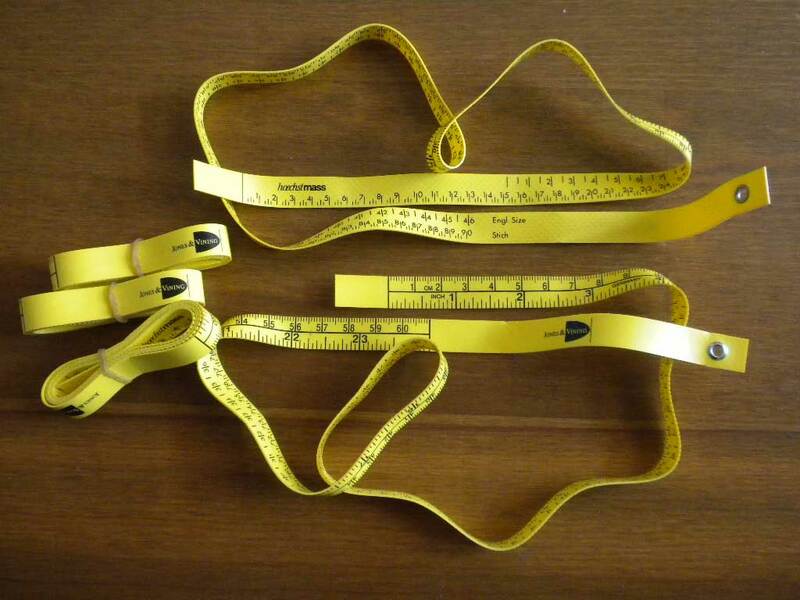 These are quality "SHOEMAKER'S TAPE MEASURES" made in Germany by Hoeschstmass. Used by shoe makers and last makers, they are resin coated filament tapes making them "non-stretch". We had them made with BOTH Inch and Centimeter scales on side "A". This is uncommon, since most shoemaker's tapes use only inches OR centimeters, not both. Side "B" is marked in "stitch" increments (equivalent to French point or European sizing) and English full and half shoe size increments. They measure twenty four inches / sixty centimeters. There are 3 French Point sizes per 2 cm. And 3 English or American sizes per inch. The tapes are used in shoe and boot patternmaking as well as last measuring and development. * combined with a book purchase, shipping fee is waived for the tape. Wholesale inquiries welcome. Please email David for pricing. If you are interested in shoemaking workshops, tutoring, ordering shoes or services contact me to discuss details and schedules.